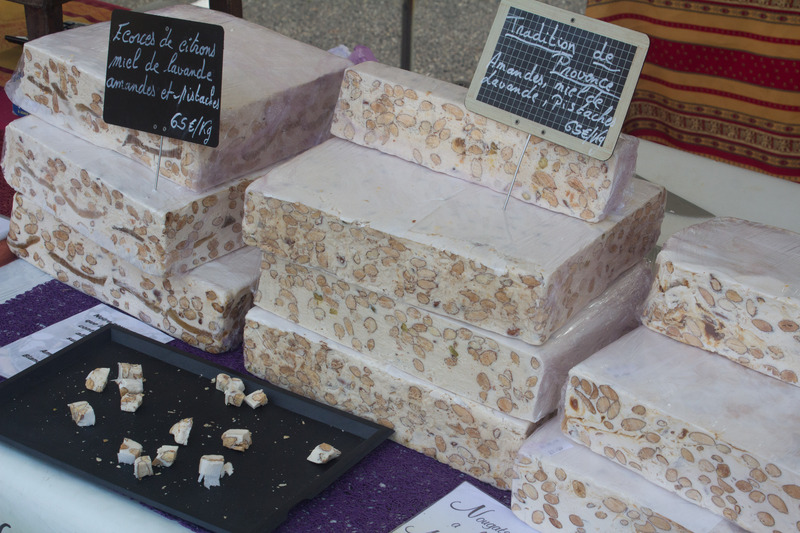 Do not go to Gordes’ Tuesday market if you want to buy food straight from the farm. 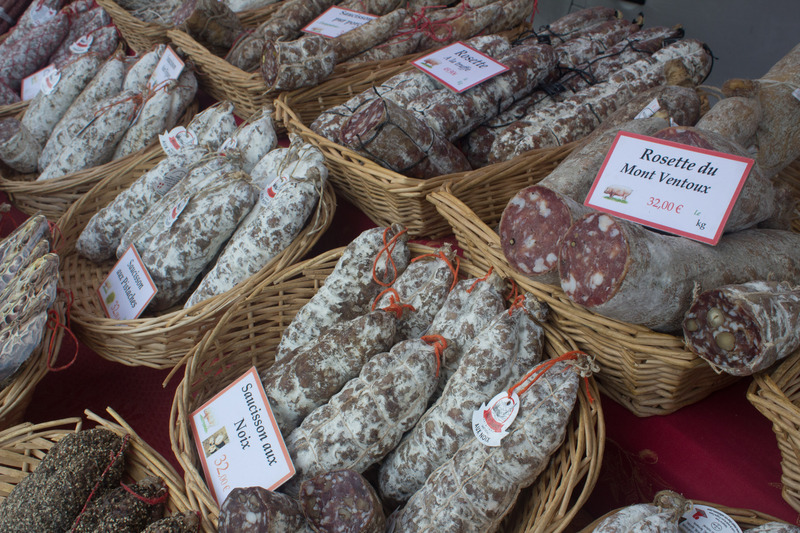 Do not go to Gordes’ market if you want to pretend you’re french. Do not go to Gordes on Tuesday before 10am, they won’t be ready. Do not go if you are on a budget. Do not go if you want to avoid the busloads of tourists. Do go if you want high quality and high price linen. Do go if you want lavender sachets. 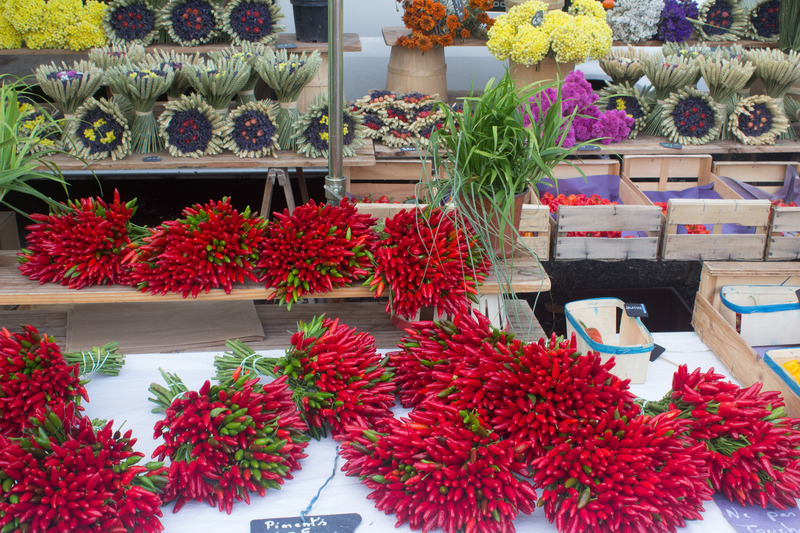 Do go if you like a clean, orderly and charming market. 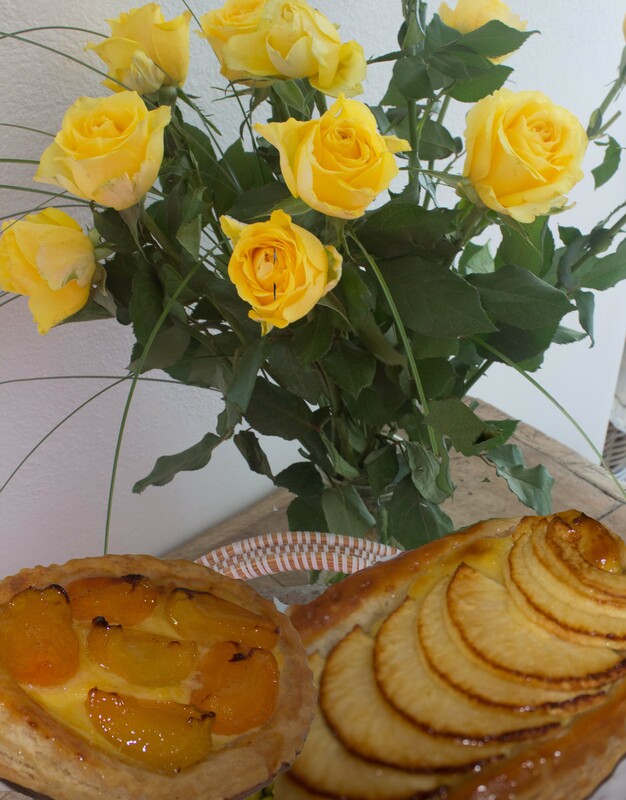 On the way home we picked up an apple and an apricot tartlette in a small but pretty boulangerie in Gault. This is our home for three weeks. I’ll unlock the door. Hang your coat on the metal hooks inside the door and turn to the lounge room. It hasn’t been cold enough to light the fire but later in the week we’re expecting 13 degrees celcius. There’s plenty of wood in the cellar. 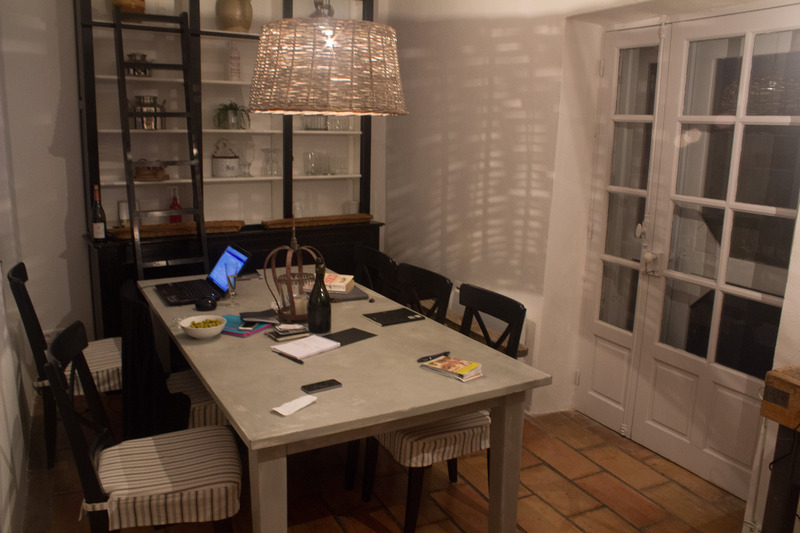 The kitchen looks out over the terrace and the Luberon Mountains. 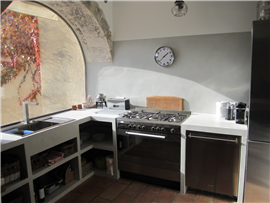 Now you can see the oven you’ll know why we wanted to find free-range chickens and farm fresh carrots, aubergines and beans. The stairs lead to the bedrooms and bathroom. They’re so steep I come down one step at a time. Our bedroom that looks out onto the mountains. It’s some view. Now we’ll come back to the kitchen. There’s a table at the other end where I write when it’s too cold on the terrace. You’ve seen the terrace. So that’s the house we have for three weeks. It’s lovely, isn’t it? 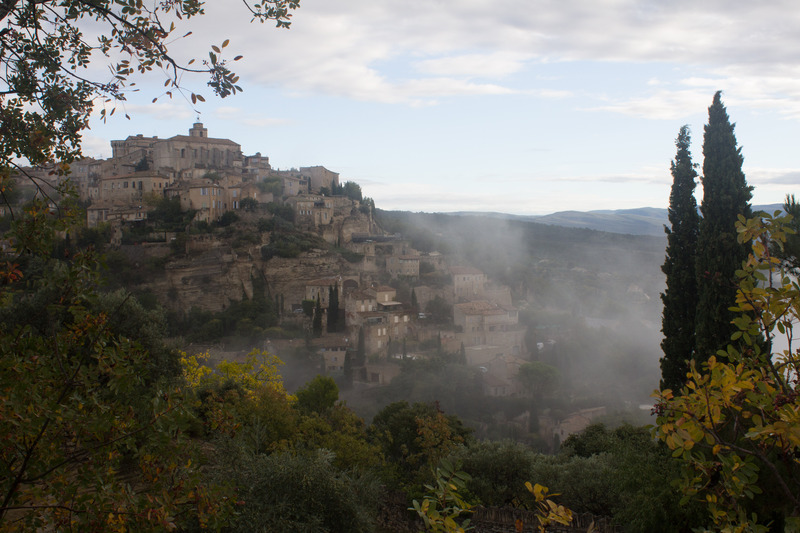 This entry was posted in Travel, Writing and tagged France, Gordes, house, markets, Provence, travel, writing. Bookmark the permalink. My face is turning green with envy….the house is charming but it is a pity about the market but never mind you are living your dream, who knows, maybe three weeks will turn into 3 months! – I’ll rub my lamp for you tonight. Ha, ha, thanks, Ruth. I wish. The house is indeed lovely Karen.thank you for inviting us to hang up our coats and come through. All the rooms have their own charm. 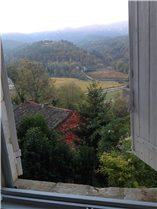 i think my favourite room so far is the bedroom – what a beautiful view from that window. i would be tempted to lie in bed and gaze out that window and dream the morning away. 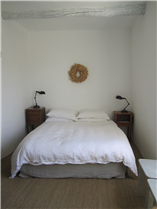 The bedroom has a lovely warm openness to it that is only partly due to that view. When we came home this afternoon the sun was streaming in through the kitchen/dining and bedroom. The temperature didn’t get over 12 celsius today so you can imagine how wonderful that felt. The wind is whistling over the house but our terrace is out of it and in the sun. That’s where I’ve been writing until now. Yes I agree it is just delightful and has that rustic charm that is so appealing, I can relate to the steep stairs too, all the villas in Europe are the same they must have had the same builder’s and just think, the people were shorter as well makes one wonder, you should keep an eye out for hand crochet bedspreads even if you don’t want to own one the work is so delicate and patterns are handed down through the generations from mother to daughter. I love your kitchen window I would love to sit there and eat one of those exquisite little French tartlets. Enjoy..
You’re right, Sue, I think people must have been shorter. The doorways upstairs just skim my head. I haven’t seen any crocheted bedspreads yet but I’ll keep my eyes open for them. 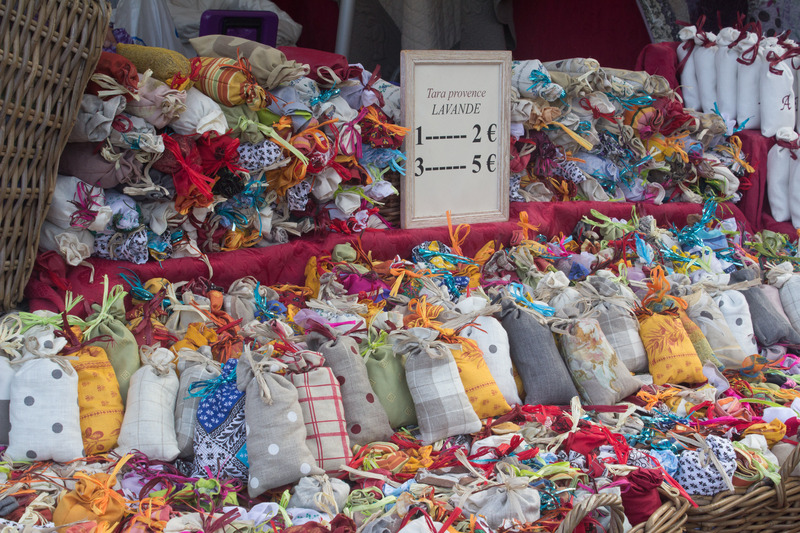 There was a lady who had hand-knitted scarves and jumpers at the market at St Remy de Provence today. Some of them were very intricate and so appealing in 12 degrees. So enjoyed the tour of the house, Karen – it’s just as I imagined it should be. And lavender-scented French linen? Nothing finer. Ha, not lavender scented linen, Di. But it’s crisply starched and feather filled. Warm in last nights 2 degrees. Thanks for the visiting, Kat. It is a charming house in a lovely village. I still can’t believe I’m here! 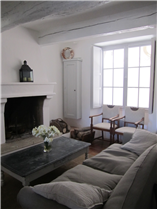 The rooms are beautiful and so full of character! 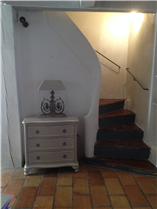 The curved staircase draws you in and makes you want to climb it, and I love the asymmetry of the bedside tables. As soon as we walked in to the house it felt like home. There wasn’t even that short period when you first have to get used to a place. We’ve never felt like that before anywhere else.